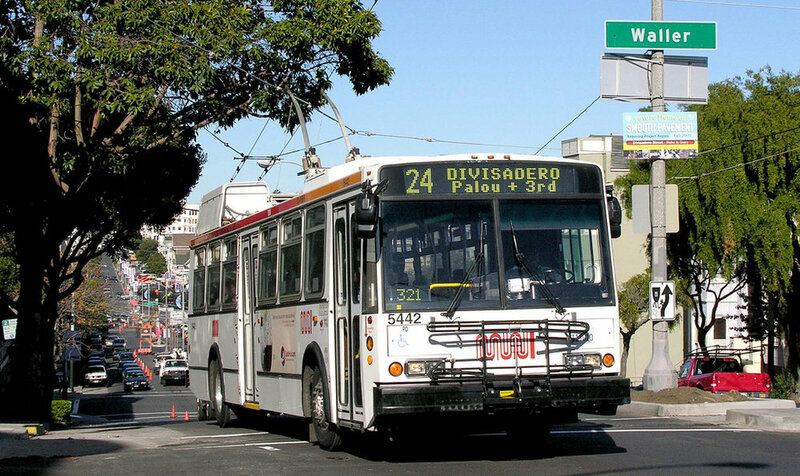 One grant went to a story-sharing project using San Francisco’s 24 MUNI bus line. Recent arts-related coverage surrounding the Kenneth Rainin Foundation has focused on the Oakland-based funder's efforts to keep artists and nonprofits from fleeing the increasingly expensive Bay Area region. Yet Rainin has also backed some pretty interesting work in the burgeoning field of public art. In 2016, it launched the Open Spaces public art program with the goal of engaging communities, showcasing artistic experimentation, and cultivating emerging public spaces. The announcement came on the heels of some other big bets in the public art space, most notably Bloomberg Philanthropies' Public Art Challenge. Recently, Rainin announced its 2018 Open Space winners, allotting a total of $500,000 to four temporary public art projects based in Oakland and San Francisco. A closer look at the winners reveals how public art can give voice to the socially conscious mindset permeating the larger arts landscape. Let's start by looking at how Rainin's approach to public art remains inextricably linked with the idea of "engagement." Most programming directors will tell you that "engagement" is their No. 1 priority, especially with so many other forms of entertainment vying for participants' leisure time. And of course, funders can't get enough of the stuff. How could anyone be against engagement? Yet there isn't much consensus around what engagement actually means, or the degree to which one can assess its relative value. Is a visitor attending a ballet performance more "engaged" than someone visiting the organization's website on a weekly basis? If there's any doubt that engagement may be the Rosetta Stone of arts philanthropy, consider this: The Wallace Foundation has committed $52 million to study the concept. It is within this larger context that we must consider the promise of public art. The logic here is pretty simple. Unlike say, hanging an installation, where visitors must actually travel to the museum and, in some cases, pay for admission, public art brings the art to the community. Residents have no choice but to engage with the art. Better yet, public art, when properly curated, enables viewers to engage with their neighbors around issues of common interest. This idea clearly resonates with the field's proponents, including the Rainin Foundation. "Temporary public art projects enable artists to respond to critical issues that resonate with their local communities," said Shelley Trott, the Rainin Foundation's Director of Arts Strategy and Ventures. "These unique projects leverage innovative storytelling and community building to highlight diverse voices and elevate underrepresented histories." Winning Open Spaces projects address a variety of timely social issues, including immigration, transgender activism, women's rights and gentrification. The projects, according to Rainin's press release, also explore "human movement and mobility within cities, upending notions of public art as static and still." One example speaks to Rainin's commitment to keeping artists and organizations from fleeing to more affordable pastures. A project called ARTruck Residencies will host screen and digital printmaking residencies to explore displacement and the housing crisis affecting San Francisco's Mission District. Housed in a mobile unit, the residences will travel along the 16th Street corridor between Mission and Bryant streets. While funders may not unanimously agree on an iron-clad definition of "engagement," the field's biggest cheerleaders—most notably the Wallace Foundation—have been rolling out best practices to help educate the larger arts philanthropy space. Similarly, the Rainin Foundation has been taking its pro-public art message to the masses. The foundation will host its second public art symposium, Exploring Public Art Practices, on March 10, 2018, at the Oakland Museum of California. Presenting artists will discuss the unique ways they engage and work in communities, and how they "challenge the concept of place." "Along with our Open Spaces Program grants, the symposium aims to build the capacity of local artists and bolster the region's public art field," said Trott. "We hope this event inspires artists to discuss the opportunities and challenges of working in public space." Applications for the next Open Spaces Program grant cycle open on June 25, 2018.